FreeCAD is a very useful 3D CAD modeler. 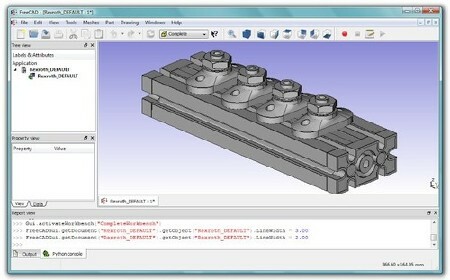 FreeCAD will be a general purpose 3D CAD modeler. The development is completely Open Source (GPL & LGPL License). FreeCAD is aimed directly at mechanical engineering and product design but also fits in a wider range of uses around engineering, such as architecture or other engineering specialties. FreeCAD features tools similar to Catia, SolidWorks or Solid Edge, and therefore also falls into the category of MCAD, PLM, CAx and CAE.